Find yourself some crazy records and tell others in the class. 3. “The book I read”. 3. Write some lines about the book you read. p. 79, Discussion box- Choose one of the questions and write a short composition. Presenting one of the Fortune telling types. 1.Read the story, learn to retell. Write out and learn all the unknown words. Write three predictions for the future-one of them is crazy one. Read it for your friends to guess which is the crazy one. Ode to mothers,grandmothers, teachers on the 8th of March. Making Presentations and greeting cards on the 8th of March. Presenting the adventurous holiday you have ever had. “My future plans”-use will, going to to express your ideas about your future plans. “My favourite type of dancing”, or I like to watch.- make a presentation or write a composition. Think of as many phrases as you can that teenagers say but the adults don’t say. 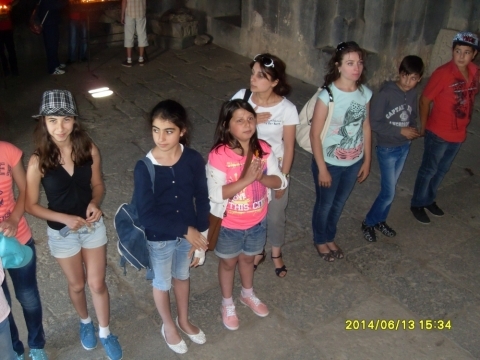 “Teenagers in Armenia and around the world”. Write a composition or make a presentation on the topic. 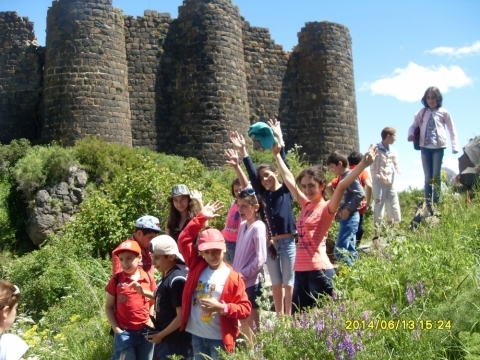 “Adventure holidays for families”. Write whatever you think is full of adventures during your holiday. Fill in the missing words, using the words in the box. Vocabulary-fluently, pronunciation, to mean, guess, look up(in the dictionary), imitate, correct a mistake, communicate. Topic-Amazing things- or just lies?? “Better late than never”. Write a composition or make a presentation withe the title given. Get ready to present in the classroom. Read the story, find all the adjectives, write their comparative and superlative degrees. Get ready to present the story in the classroom. Three men came to New York for a holiday. They came to a very large hotel and took a room there. Their room was on the forty-fifth floor. In the evening friends went to the theatre and came back to the hotel very late. “I’m very sorry,” said the clerk of the hotel, “but the lifts do not work tonight. If you don’t want to walk up to your room, we shall make beds for you in the hall.” “No, no,” said one of the friends, “no,thank you. We don’t want to sleep in the hall.We shall walk up to our room.” Then he turned to his friends and said: “It’s not easy to walk up to the forty-fifth floor, but we shall make it easier. On the way to the room I shall tell you some jokes; then you, Andy, will sing us some songs; then you, Peter, will tell us some interesting stories. Extra Task– Choose one of the topics given ” My environment”, “My house”, “My school”. Use there is/there are, have got/has got. Extra task– Find out an unusual hobby from the internet. Express your ideas about that hobby. e.g.Why do you think that hobby is unusual? Have you ever thought of collecting something like that? Do you know any famous person collecting such things or having such a hobby? Does anyone of your friends have such a hobby? I. Fill in with am, are, is or the correct form of the verb in brackets. 1.Caroline, Sarah and Nadia __ all students at Park-School, in the North-West of England. It 2.__ an all girls school, the Park School for boys __ not far away in the same town. 3.The three girls __ all 14 and they __ in year 9. During the school day, they ___ (study) 4.subjects on the National Curriculum: subjects like English, Maths, History, Geography, 5.PE and ICT (Information and Communication Technology). They also __ (study) two or 6.three languages (for example French or Spanish) and they do Science: Biology, 7.Chemistry and Physics. And they each __ (do) two creative subjects: They can choose 8.from Music, Technology and Drama. But there __ more. 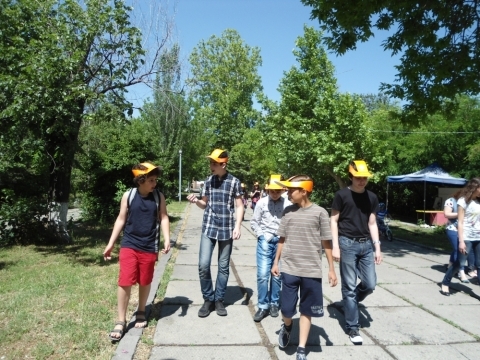 9.There __ a horse-riding club and a gymnastic club. 10.Clubs __ really good idea where we can have a lot of fun and __ (learn) different things. 1. Wrte a letter to your friend and ask him/her tell about his/her school club. 2. 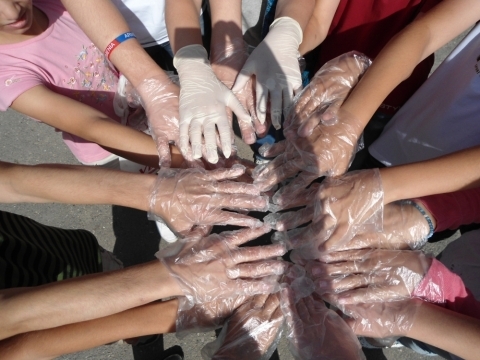 Write a composition or make a presentation(film) on the topic ” Volunteer work”. How do you imagine your School Club? How would it be called? What subjects would be in the school curriculum? What would you like to study in the club? What would you prefer: Scince or creative subjects? Do you find School Clubs really fun? 2.Retell the text or tell about your School Club. 3.Make up diologues with the title “School clubs”. Listen to the text, write a short summary. Reading- English in Mind, pg.26, Who’s your hero. Vocabulary- accident, law company, organise, realize, chemical, to start a case, judge, each, in total. 3.Is she a positive, or a negative person? 1. How did Erin start to work in a law company? 3. Why did Erin go to Hinkley? 4. What was going on in there? 5. What did she discover there? 6.Who plays Erin in the film? Vocabulary– politicians, soldiers, musicians, remember, forget, sculptures, statues, independant, monument, memorial, tomb, unknown, remembrance day, human rights, leader, fountain, (is, are)named after, fame, pavement, celebrities, handprint, footprint, autographs, concrete, (is, are) metioned, including. Answer the questions– pg.31. point c.
Read the text, write all the unknown words. Vocabulary – situation, invite, together, miss, wave, come up, make trouble, silk scarf, through a translator, reporters, peace flag, historic visit, make something possible. Different countries and peope remember their heroes in different ways. How do you remember your heroes? Describe it – Where is it? What did he do to become a hero? Make a film, a presentation, or just a composition. 2. “What makes a good friendship”- write down a composition on this topic. What kind of hero he was? Make up questions about Robin Hood. Learn the dialogue and act it out. (This activity can be done either in the classroom or at home. Those who do not manage to learn it in the classroom they continue the work at home). Writing– pg. 37. activity 11, points a and b. Extra Task– 3rd day– “Halloween in my country”, ” Halloween around the world”, “The origine of halloween”. Choose one of these topics and make a presentation or a film. Describe your school- its gym, laboratories, the school clubs, the playground, etc. Make a film or a presentation. Take photos of everything you are talking about in your video or your presentation. have to is used to express strong obligation, but when we use have to there is usually a sense of external obligation. Some external circumstance makes the obligation necessary. I have to send an urgent email. I have to take this book back to the library. “Do not have to” suggests that someone is not required to do something. “Must not” suggests that you are prohibited from doing something. Writing– Now do the activity. Speaking-Read the dialogue(pg. 42) fill in the missing words. Now make your own dialogue, act it out. You can even act the original dialogue. Choose one of the jobs and give a description. Tell who has the job, or may be you would like to take that job later when you grow up. Write a composition on the topic “Following a dream”. Choose one of the part-time jobs , write a short composition. Vocabulary– healthy, a piece of advice, to advise, to believe, belief, positive-(ant. )negative, fit, disease, in general, diet, tofu, spices, fat, seaweed, olive, avoid, deep-fried, crisps, stress-free. Write a composition on the topic “Long and healthy life”. How to be healthy and live long? Does anybody among your relatives lead healthy life, and does he/she know how to live long? Grammar-Learn how to use many/much, a lot of , any and some with countable and uncountable nouns. Vocabulary-I mean, stuff, though, sure, inside, order, absolutely, boring. Read the dialogue, learn all the unknown words. 1.Imagine you are at a cafe or at a restaurant. Make up a dialogue using names of food. Order something or ask the waiter to offer something. 2.Write down how is made your favourite dish. Write all the ingredients. My winter holidays-Write down a composition about your winter holidays.